Limited to 100 lime green cassettes. Includes unlimited streaming of Eyeless Terror via the free Bandcamp app, plus high-quality download in MP3, FLAC and more. 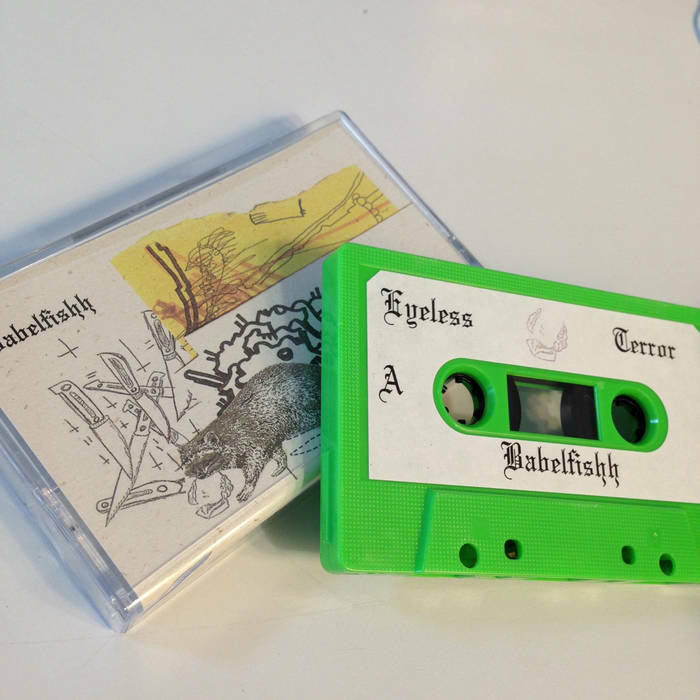 Babelfishh produces some of the darkest beats and ominous thrash grime with Eyeless Terror. Served on lime green tapes and perilous vocals that dance off the musical structure and chaotic noise pieces. Eyeless Terror is as it sounds - a ravenous bear attacking. Limited to 100 - hemp j-cards.